JOSIE came from a garbage dump. eating garbage. I took her to the VET for parasite, ticks and fleas treatment. 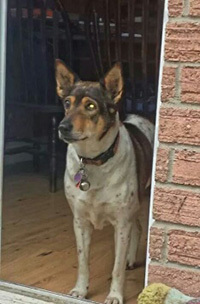 JOSIE spent one month at the VET before moving to Canada along with 7 other dogs from the same garbage dump. They all live happily in their forever home in ONTARIO. ‘PIM’‘PAM’‘ POUM’ were 3 small puppies leaving under the highway along with 50 other dogs in Bangkok. I had all the dogs neutered and removed PIM, PAM, POUM to place them with my friend　Ms.Tharinee (Pic A Pet4Home). Unfortunately all the dogs under the highway had died of distemper after save puppies! Fortunately PIM , PAM and POUM were saved. They remained one month in Bangkok before flying to Canada . 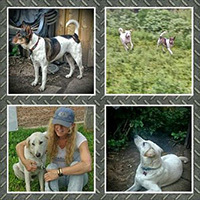 They were adopted from the Toronto Humane Society and found lovely forever homes.